SKI 19/20 ON SALE NOW! 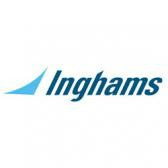 Book your next ski holiday with Inghams! Start your countdown to Christmas with Inghams Santa Breaks!